Any trip home wouldn't be complete without a visit to North Carolina. My parents are from the same town near the North Carolina/South Carolina border, and all of my aunts, uncles, cousins, and grandparents live in the area. Growing up, I hated living so far away from the rest of our family. Now, as an adult, I realize we were so lucky to only be two hours away from everyone we loved. Once again, the kids were showered with a lot of attention and love. We only make the trip home once a year, so this is the only chance my family gets to see us all. That being said, I am always touched by the outpouring of love and the time everyone spends to make our trip a memorable one. There is just an unparalleled feeling of nostalgia and familiarity. Eliza was in heaven as she played with her cousins outside and took turns walking my older cousins' dogs. 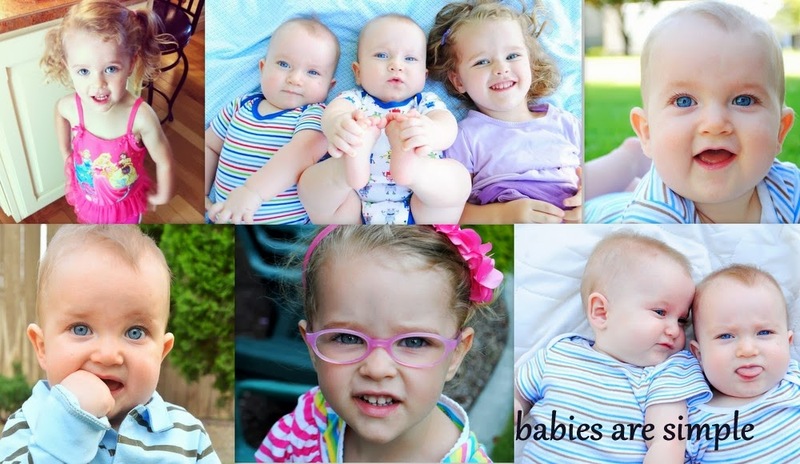 My cousin Shannon's two children, Mason and Lilly, were so nice to Eliza and the twins. I couldn't believe how well they played together. I am lucky to have such a great family. I especially love my great aunts. These women have called me on my birthday every year for as long as I can remember. They have sent me cards for nearly every event in my life, and they took me for weeks during the summer to stay with them. I was so happy Eliza was able to meet (again) two of my favorite ladies. Although all of my cousins couldn't make it this time around (the others were in Hawaii, working, and graduating from law school...how rude of them! ), I was glad I was able to see Jason, Naomi, and Shannon. I don't have many cousins, but the few I have are definitely loved. That's so great that you got to see so much family. It's so hard to go so long without seeing loved ones.